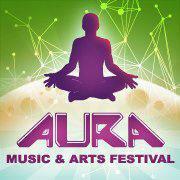 AURA Music Group has unveiled the lineup for AURA Music & Arts Festival 5, returning to Spirit of the Suwannee Music Park in Live Oak, Florida, February 14th – 16th, 2014. Celebrating its fifth anniversary with the most impressive and eclectic lineup to date, AURA will feature Lotus (two nights), Papadosio (two nights), Conspirator, Zoogma, The Werks x2, Marco Benevento, Mike Dillon Band, Kung Fu x2, Dopapod x2, The Heavy Pets, Superhuman Happiness, Brock Butler, Jimkata and more! A limited number of tickets are available now for $125. Since its humble beginnings in Brooksville, FL, AURA has become one of the premiere multi-day boutique music events in the Southeast US, attracting fans from around the country. Now comfortably at home at the famed SOSMP, AURA comes to life in the midst of 800 acres of Spanish moss-draped oak and cypress trees along the Suwannee River and utilizes one of the most beautiful natural amphitheaters in the country only made more awe-inspiring by AURA’s attention to sound and lighting production. As always, AURA 5 will feature live painters, an interactive arts village, craft and food vendors, yoga & meditation, and inspiring transformational workshops. Can you use another talent in your lineup? Check out http://www.MalloryDoone.com for a 16 year old with an old soul and a fantastic voice to match. The stage is her love and all that see her equally love her back!